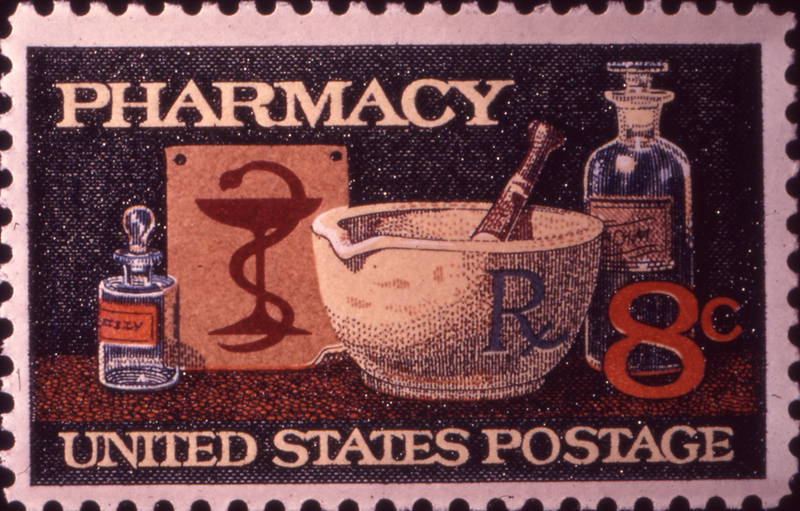 Summary: The history of pharmacy and materia medica on stamps. Abstract: The profession of pharmacy has a proud heritage, and an unequalled record of service to humanity almost as old as the human race itself. The evolution of this heritage is recorded in philately. Now when the practicing pharmacist dispenses medication, he provides a professional service incorporating the benefits of the efforts of pharmacists in all branches of the profession — education research, development, standards, production, and distribution. The pharmacist’s service today is in his knowledge, rather than in the skill of his hands in compounding the prescriptions of the past. This philatelic tribute reminds us of the current diverse activities performed by pharmacists as members of the health professions. And, hopefully, it will also stimulate many to investigate the wide range of philatelic material recording a proud history of pharmacy.